Wuthering Heights is a novel by Emily Bront , written between October 1845 and June 1846, and published in 1847 under thepseudonym "Ellis Bell." It was her first and only published novel: she died aged 30 the following year. The decision to publish came after the success of her sister Charlotte's novel, Jane Eyre. After Emily's death, Charlotte edited the manuscript of Wuthering Heights, and arranged for the edited version to be published as a posthumous second edition in 1850. 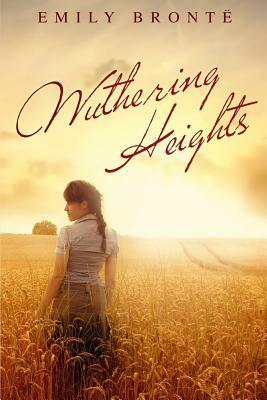 Wuthering Heights is the eponymous farmhouse on the Yorkshire moors where the story unfolds. Its core theme is the enduring love between the heroine, Catherine Earnshaw, and her father's adopted son, Heathcliff and how it eventually destroys their lives and the lives of those around them. Although Wuthering Heights became a classic of English literature, it received mixed reviews when first published, and was considered controversial because its depiction of mental and physical cruelty was so unusually stark. In the second half of the 19th century, Charlotte Bront 's Jane Eyre was considered the best of the Bront sisters' works, but later critics argued that Wuthering Heights was superior. Wuthering Heights has inspired adaptations, including film, radio and television dramatisations, a musical by Bernard J. Taylor, a ballet, operas (by Bernard Herrmann, Carlisle Floyd, and Fr d ric Chaslin), a role-playing game, and the 1978 chart-topping song by Kate Bush.